Posted January 24, 2013 by Josette Farrell in Sport. A 7,078 yard, par 72 championship course designed by Dr. Arthur Spring, Cregmore Park Golf Club is set in the countryside of Co. Galway, but is just 10 minutes fro the city centre. The championship golf course and driving range is ideally suitable for golfers of all standards, boasting two lakes on three holes, 82 bunkers and 3,000 trees across the course which is gently undulating without any climbing involved. 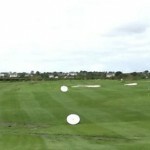 In addition the driving range incorporates 10 spacious bays, while tuition is available for both the golf course and driving range in either individual or group session by one of the club’s golf professionals. The club’s goal for the year is to put in place better structures to support and develop its junior membership in Cregmore Park with a big focus on development, workshops, and competitions for all junior golf members.